AVB testified Yeshivah had a "culture of enablers" (photo: ABC). 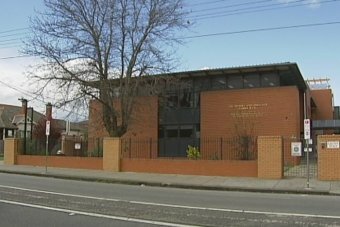 A child abuse victim has branded the Jewish Yeshivah community "rotten to the core" and has called for leaders who ignored molestation to be banished from power, a royal commission has heard. The man, known as AVB, was 10 when, in the 1980s, he was sexually abused at Sydney's Yeshiva Bondi centre, at the hands of now convicted child abusers Daniel Hayman and David Cyprys. AVB, who is now a member of Melbourne's Yeshivah community, reported the abuse to police three years ago. Giving evidence at the Royal Commission into Institutional Responses to Child Sexual Abuse, AVB said Yeshivah had a "culture of enablers" and many rabbis and jewish leaders within the Chabad community continued to denigrate the victims and rally around the perpetrators. "This whole thing is vile from beginning to end," he said. AVB told the inquiry rabbis who knew of abuse should be held accountable and banned from leadership positions. Yesterday, Rabbi Feldman, a leader within the Sydney Yeshivah community, said paedophiles should not be treated like "scum of the earth" and should not go to jail for historic cases of abuse if they had repented and received treatment. He also stated publicity about child abuse encouraged "fake victims" who wanted to be "heroes" to come forward. AVB said Rabbi Feldman's evidence proved nothing had changed at Yeshivah in the past 20 years and it was "rotten to its core". "We are victimised. We are being judged," he said. "There is a fundamental cultural dynamic that hasn't been addressed. Nothing is going to change. "Kids like me will struggle." AVB called for senior rabbis, including Rabbi Abraham Glick, Rabbi Pinchus Feldman, and Rabbi Klugwant to take 100 per cent responsibility for the wrongs that occured in the 1980s and the recent bullying of him and his family. He said the abuse of at least nine children was preventable but the rabbis did nothing. "I think for the community, there is a lot of hurt with these events and someone has to stand up and accept responsibility," AVB told the inquiry. "These crimes are too serious to let pass."